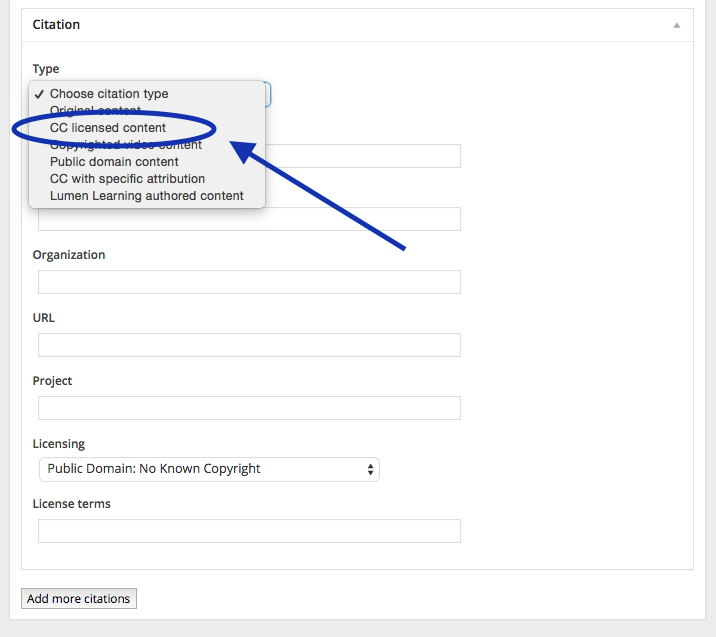 Creative Commons offers additional information about CC0 here. 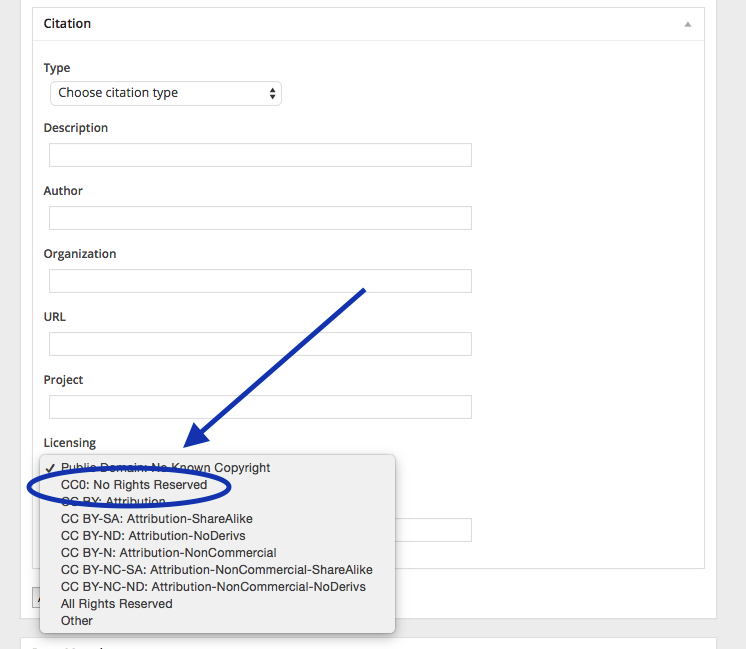 OER material with a CC0 license allows you to apply any of the 5R's (reuse, revise, remix, redistribute, and retain) to it. You can copy & paste it straight into Candela; you can adapt it; or you can remix it with other CC sources (except CC-ND). Though CC0 works legally do not have to be attributed, it’s good practice to identify and credit them in your Lumen course. This can be easily done using the Citations tool. That way, you’re modeling good citation practice for your students, and allowing other viewers who might be interested in the content to be able to track it down for themselves. Under the "Licensing" pull-down menu, select "CC0: No Rights Reserved." If you create material in your Lumen book that you'd like to license as CC0, you can use the same tools to cite it as noted above. Use the "Description" and "Author" fields in the Citation section to give yourself credit for this work. Including your "Organization" (such as school name) and/or the URL for your institution will be helpful if others want to contact you about this work later on. Creative Commons offers more information about using CC0 on your own work here.